Our next spotlight features Sushma Boppana, MS2 MSTP student, who took precious minutes out of pre-final study time to do this interview. Paige: I’ve heard you’re quite involved with EAB, could you tell us a bit more about that? Sushma: I’m the clinical director for our student-run free clinic, which I’ve done for about 10 months. We have weekly primary care and acute care clinics on Sundays and Wednesdays to serve the uninsured and homeless individuals in our community. Paige: Solid work. How do you balance the workload that goes along with that title and medical school? Sushma: I had to learn to adjust my expectations on the academic side. I don’t have the same time I had my first couple of semesters to devote to studying, but I do get to show up every Sunday to clinic and see patients I’ve known for months and know their journey. It’s special and worth it to me. (Side note: she’s still rocking the med school thing). Paige: No doubt it’s worthwhile. How do you think having this experience will shape you as a future physician-scientist? 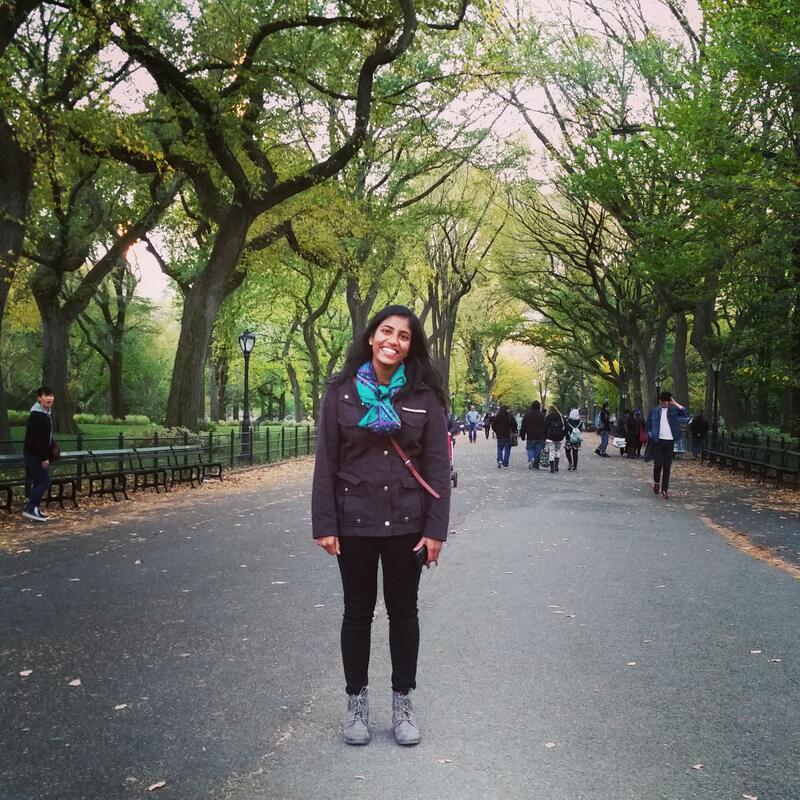 Sushma: Working with underserved populations in the clinic setting is something I’ve done growing up and in college, and it’s made me realize how much I value service in terms of a career. I would like to eventually do this kind of work with vulnerable populations wherever I end up. Paige: Right on, girl. Do you have an idea of what post-degree life will look like for you? Sushma: I know I want to do research and medicine, but still haven’t figured out what that career is going to be. Robin has been super helpful figuring stuff out that’s out of the loop, like when I applied for an ID research fellowship this summer that no MSTP had done before and she helped me pursue that. So…we’ll see. Paige: Plenty of time to figure that out. Congrats on choosing a thesis lab, could you talk about Dr. Goepfert’s work and why you chose his lab? Sushma: He’s an MD who runs an HIV vaccine lab focused on the T-cell mediated immune response to HIV. He also works at the 1917 clinic (an HIV/AIDS clinic at UAB). During my rotation this past summer, I was able to shadow him in clinic, which was cool because there was a lot of direct correlation between what was happening in the lab and the clinic. I liked the clinical application of the research and the good mentor structure in the lab. There are a couple of PhD’s on the floor who work closely with graduate students so there’s always someone to talk things through with. Paige: That sounds like a great environment. So are you interested in infectious disease? Sushma: Yeah, totally. The 1917 clinic is very holistic and reminds me of EAB. The meds are free/affordable, and doctors make sure the patients can take care of themselves, medically and in other ways with case managers and various resources. It’s definitely in line with the kind of medicine I’d like to practice in the future. Paige: Awesome. What do you have going on outside of medicine and research? Sushma: Well I just bought a condo so I’ve been shopping for house stuff a lot, recently. My family is in Birmingham, too, so I like to hang out with them. And of course hanging out with friends. I played ultimate frisbee with our club team in college and still play when I get a chance. Paige: You got some mad frisbee skills. I’ve heard you’re quite the traveler, as well. Sushma: Yeah! I took a road trip with a couple of friends (including fellow MS2, Morgan Zipperly) out west this summer before starting second year. We spent two weeks in mostly Arizona and Utah and camped most nights. There was lots of hiking, cacti, elk, pasta, and Costco chicken. And I’m headed to the Dominican Republic over the holidays to visit my friend from college. Paige: Very cool! When you’re not eating canned chicken in Sedona, what’s your go-to place to eat at in Birmingham? Sushma: Probably Surin. It’s so good! Thanks to Sushma for being our second “Sketch,” tune in for more sketches in the new year!